Thanks to the Texas Camerata, they were fantastic and made singing really fun!! I am looking forward to my performance at St. Patrick’s Cathedral in Ft. Worth on Thursday, September 15th at 7pm with the Texas Camerata. We will be performing both sacred and secular vocal and instrumental music. One of the pieces I will be singing is Harriet Beech Stowe‘s, Mary at the Cross, which I have never performed before. As an added bonus, this piece was composed by Malcolm Archer, the head of the Bristol Cathedral in England. Malcolm was head chorister at Bristol, former music director at St. Paul’s and now at Winchester. He is also a great friend of mine. I will be performing in SoHo-NYC, tonight, premiering ‘Our Lady‘ by Gregory Spears at an American Opera Projects workshop. This is the first new work in the ‘Lady of Love and Sorrow’ project to be performed. I am very excited about this project and workshop, and the good news/bad news is that tonight’s workshop is already sold out. I’ll definitely be doing additional performances in the near future, though, so please keep checking back on this blog for details! 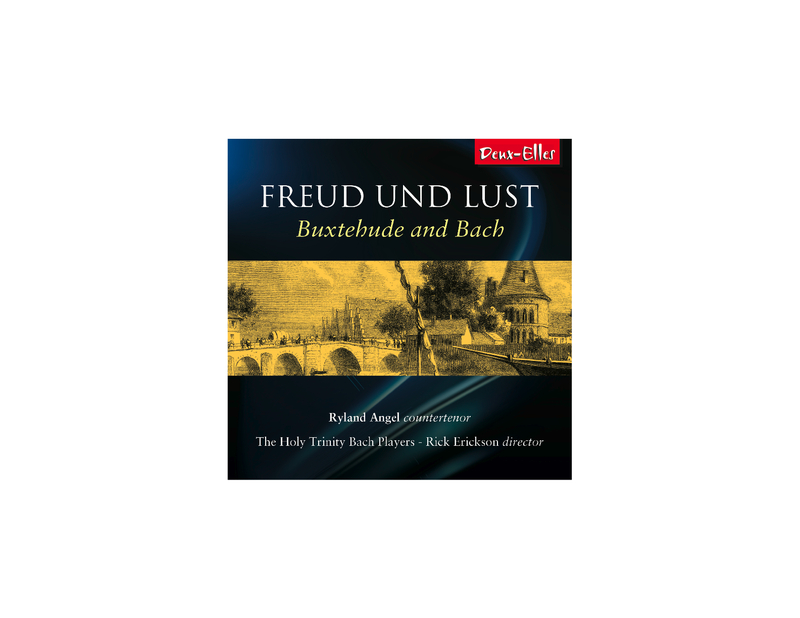 I am really excited about my soon to be released album “Freud Und Lust” with the Holy Trinity Bach Players, which was also directed by Rick Erickson. All the composers on this program worked in important centers of Lutheran music in seventeenth and eighteenth-century Germany. Neither women nor castrati typically performed in Lutheran churches at this time, so countertenors usually sang the alto parts in church music. Thought I would give you a look at the album cover. You are currently browsing the Ryland Angel blog archives for September, 2011.